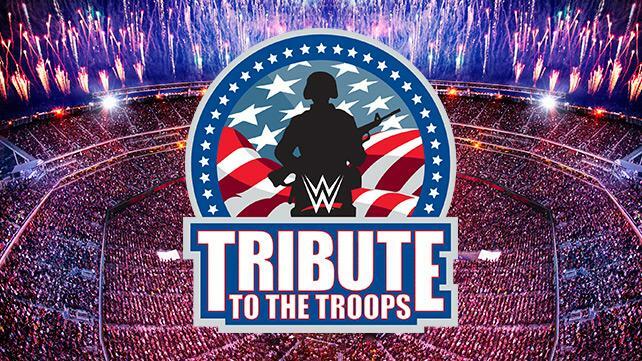 WWE today announced that the 14th annual WWE Tribute to the Troops event will be held on Tuesday, Dec. 13 at Verizon Center in Washington D.C., marking the first time the event will be held in our nation’s capital. While in D.C., WWE Superstars will spend time with members of all five branches of the military. WWE began Tribute to the Troops in 2003 as a way to honor our servicemen and women and their families. Tribute to the Troops will air on Wednesday, Dec.14 on USA Network. In the long-standing tradition of the USO supporting and entertaining our troops at home and abroad, WWE brings together the best of sports, entertainment and pop culture, with celebrity appearances and performances from music’s most popular acts. Tribute to the Troops has become a holiday tradition and is considered TV’s most patriotic and heartwarming show of the year. While in Washington D.C., WWE Superstars will spend time giving back to military personnel and their families. Activities will include a Be a STAR anti-bullying rally, as well as hospital visits and outreach initiatives at various installations throughout the Washington D.C. metropolitan area. Additionally, servicemen and women and their families will be given complimentary tickets to attend Tribute to the Troops. 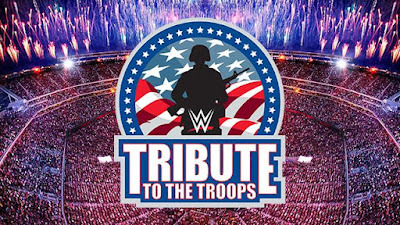 "We are so excited to partner with WWE on Tribute to the Troops, an event that truly has become a holiday tradition for our service members and their families," said Elaine Rogers, President and CEO of USO of Metropolitan Washington-Baltimore. "What better way to thank our active duty military members and their families for their service than by providing them with an amazing evening of fun and entertainment." "First I would like to thank the USO and WWE for all the support they have given our servicemen and women," said Maj. Gen. Bradley A. Becker, Commander, Joint Force Headquarters-National Capital Region and the U.S. Army Military District of Washington. "The National Capital Region is the political and military center of gravity for the United States with an infrastructure vital to the global interests of the nation, and I believe is an ideal location for the upcoming Tribute to the Troops because of the large number of military personnel and their families that live and work in the DC-Metro area. I know that our service members are big fans of WWE and are excited to participate in this wonderful event." "For the 14th year, WWE is honored to give back to American military personnel and their families for their commitment to and sacrifice for our country," said WWE Chairman & CEO Vince McMahon. "Our servicemen and women work tirelessly and selflessly for our freedom, and it is an honor to continue the Tribute to the Troops tradition for them this year in our nation’s capital."